Yes, there is a great performance inside of a Rob Zombie movie. That may seem like a cheap shot. It's not meant to be. I phrased it as a shocking statement because Zombie's movies have a pretty bad reputation, even among the horror community. As someone who has liked every Rob Zombie movie in varying degrees, I've seen a number of his actors give good performances. He's the guy responsible for bringing Sid Haig back into the popular culture. 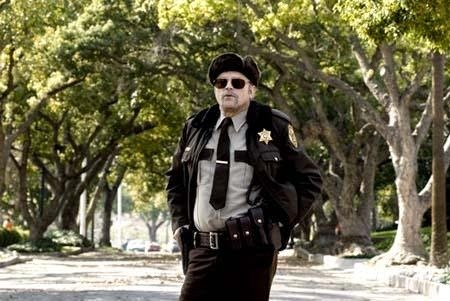 Bill Mosely has never been better than he is in The Devil's Rejects. Even Zombie's own wife Sherri Moon Zombie shows tremendous growth by the time she had to carry last year's The Lords of Salem. He tends to stunt cast a lot his roles with genre icons and actors who engender good will because of our affection for their previous work, but none of these actors lazily trade in on our nostalgia. Everyone gives it his or her all. None of them are better than Brad Dourif in Zombie's Halloween II. 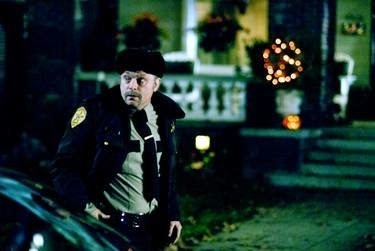 As an actor, Dourif has that '70s cache that Zombie loves, having been nominated for an Oscar for playing Billy Bibbit in One Flew Over the Cuckoo's Nest, as well as boasting a number of horror credits: in addition to voicing the murderous doll Chucky in all of the Child's Play films, Dourif appeared in Tobe Hooper's Spontaneous Combustion, the Stephen King adaptation Graveyard Shift, Body Parts, The Exorcist III, Grim Prairie Tales, Critters 4, Alien Resurrection, Urban Legend...the list goes on. He's a guy with bona fides, and when Zombie cast him as the (largely ineffectual) Sheriff Brackett it seemed like just another example of the director filling every part with a familiar face. He's fine in the movie, but is mostly on hand because Rob Zombie wanted Brad Dourif in his movie and not because the role is particularly demanding. All of that changed with Halloween II, Zombie's follow-up to his remake that is not a remake of the 1981 Halloween II directed by Rick Rosenthal (save for an extended opening set in a hospital). The sequel is very much free to be its own thing, and Zombie writes and directs a movie that's as much a heavy emotional drama as it is a brutal slasher film. Halloween II is about people who are physically and psychically destroyed by the events of the first movie, whether it's Laurie Strode (Scout Taylor Compton) dealing with survivor's guilt or her best friend Annie (Danielle Harris, also never better), whose attack at the hands of Michael Myers has left her scarred in every possible way. She has retreated into the safety of her home, never going out, no longer getting along with her surrogate sister Laurie. 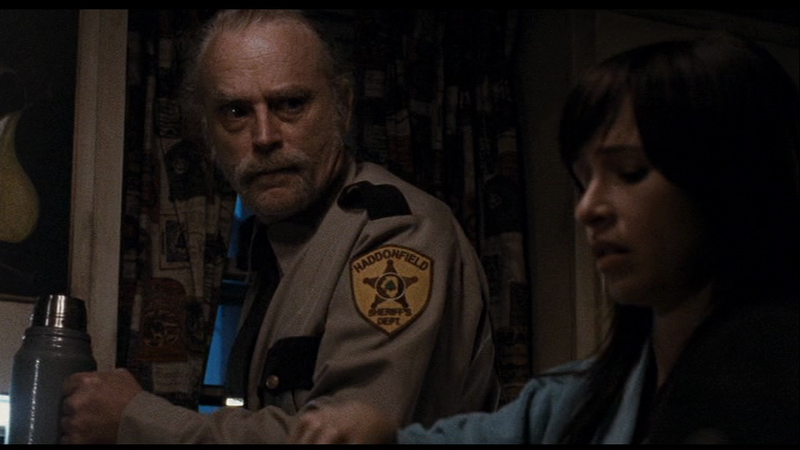 Dourif's Sheriff Brackett is Annie's father, and their early scenes have such a warmth and lived-in familiarity that it's impossible not to be drawn into their lives as real people, not just the standard slasher movie victim characters. Though he looks his usual crazy self -- long hair, handlebar mustache, bugged out eyes -- Dourif is soft and lovable. There's a great scene during which he teases the girls about ordering a pizza where you get the sense that he has created a home for the girls that feels safe without being jittery. But where Dourif really shines -- and what makes Zombie's Halloween II a fascinating horror movie and so much better than its (terrible) reputation -- is after SPOILER Annie is killed and he comes home to find her body. Zombie makes an interesting choice (removed from the theatrical version of the movie, one of many reasons his director's version is far superior) to intercut the moment with actual VHS footage of Danielle Harris as a little girl. It's devastating, and Dourif's reactions rip your heart out. The realization that his little girl is gone -- and that no matter how how he tried, he was unable to protect her -- is the thing that really resonates about Zombie's movie, more than any savage beheading or ghostly white horse imagery. There is so much pain in the moment, in the performance, in all of Halloween II, as Zombie infuses a sense of humanity amidst his usual grimy, bloody aesthetic. It's a slasher movie about real people. Dourif is the realest among them. Late in the film, Dourif has a scene with Malcolm McDowell's Dr. Loomis (who is still the weakest thing in the movie, having been turned into a cynical publicity whore getting rich off the Haddonfield murders), who he blames for Michael Myers' return. Brackett is furious to the point of wanting to either punch or shoot Loomis, but Dourif doesn't just play the anger -- what he plays is grief. We have seen so many horror movies in which characters discover the dead bodies of friends or loved ones and react only with shock and fear that we forget how few of them actually deal with loss. Dourif has picked up on that and informs Brackett with such a palpable sense of grief that it actually hurts to watch him in those late scenes. He's so good. Rob Zombie's Halloween II was and is a polarizing film. There are plenty of people who still hate it; just last week I was taken to task for liking and defending what was called "an abomination." 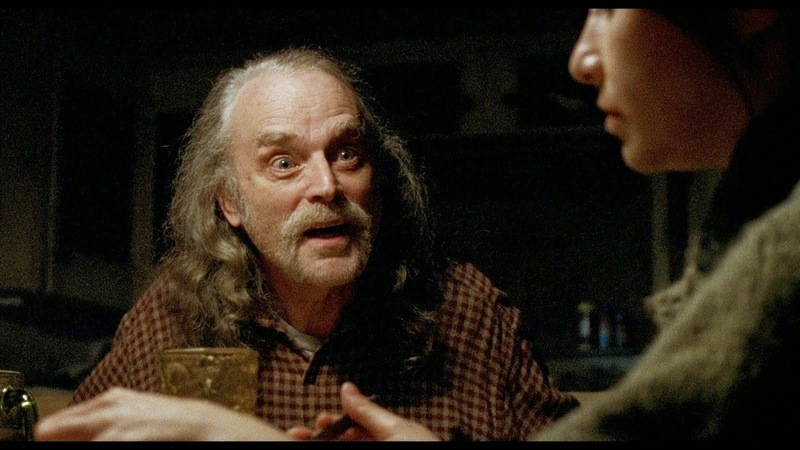 I would hope, though, that even those audience members who don't like the film (and I understand why and cannot blame them) can recognize the strength of some of the performances, Brad Dourif's chief among them. Perhaps it's telling that by the end of Halloween II, every single major character from both movies has been killed off save for him. Zombie, recognizing the humanity and dignity in Dourif's performance, chooses to spare him. In a film seemingly determined to scorch the earth and end the franchise, there may be no greater honor. I watched it after you first mentioned it. The bottom line is I like it. A lot. With just a few Quibbles. I did not like the white horse stuff and eating the dog went too far for me. I still need to see the D-Cut. I agree about Loomis. And "I'm selling the sizzle not the steak" is a toe curlingly bad line. He was also in an X-Files episode called Beyond The Sea where he plays a serial killer who claims he can talk to Scullys dead father and he's amazing in it. He's so captivating and creepy in those types of roles. Great actor. I hated Halloween II the first time I watched it but came around on it the second time - I don't love it but it does the trick and you're absolutely right about Dourif. His grief is about the only thing that has really stuck with me at all as, like you say, it's one of those rare instances in a horror movie where you really FEEL that someone just lost a loved one. Going through the Ft13th franchise I've noticed a few times where scenes like that carry absolutely no real weight - Zombie and Dourif nailed it in this case. He's one of the best things about "Deadwood" too.